What we believe about ourselves and the world shapes our choices and ultimately our lives on a fundamental level. Our mindset is like our operating system – a code that holds the parameters for what’s possible and how things are done. In her 2006 book, “Mindset: The New Psychology of Success,” Dr. Carol Dweck presents the concepts of fixed and growth mindsets. Whether we have a fixed mindset or a growth mindset determines our behaviour, our relationship with failure and success, and ultimately our capacity for happiness. In a world where it’s easy to get caught up in the idea that happiness is determined by our circumstances, the notion that we can improve our lives so drastically by shifting our mindset can be quite empowering. A fixed mindset assumes that our creativity, intelligence and character are inherent, and that there’s not much you can do about it. Success measures these static traits against a universally accepted fixed standard, and that’s that. Striving for success and avoiding failure at all costs becomes a way of maintaining the sense of measuring up. If you hide your flaws and avoid taking risks that might expose you as not measuring up to that standard, you’ll still get the reward. As a recovering perfectionist, I see so much of my old belief system mirrored here. A growth mindset assumes that all of this is malleable. A person with a growth mindset thrives on challenge, sees failure as feedback on the path to success, and embraces the opportunity to stretch themselves and get outside their comfort zone. Making mistakes isn’t evidence of unworthiness, rather it’s a chance to learn something new and stretch yourself. The concept of growth mindset lines up perfectly with what we now know about neuroplasticity – the brain’s ability to change itself. Failure makes real success more likely. That’s literally how the brain works. Every time we make a mistake or fail at something, it’s making subtle adjustments below the level of consciousness in order to adapt. It happens without us even thinking about it. Growth mindset is really more than mindset – it’s a recognition of the way the brain works and offers a set of beliefs that are congruent with what we know about human thriving. Looking back on your life, what were you taught about making mistakes? What consequences did you witness when people failed? Did you feel safe and supported to take risks? What messages did you receive about other people’s success? Your mindset is not your fault. It’s shaped from a very young age. It’s influenced by the culture in which you grew up, including your household, your schooling, and the social messaging you received from other sources. Your mindset is a natural response to the ecosystem in which your were raised and in which you now live. You picked up on the subtle (and not-so-subtle) messages about appearances, failure, and safety. If you were ridiculed or punished for making mistakes, or if you witnessed that happening to others, or if failure was deemed fatal, or if you were “on your own” if you chose to take an unconventional risk, or if appearances were more important than reality, it makes perfect sense that you have a fixed mindset. A fixed mindset makes sense, and it’s also holding you back. Overworking to make sure everything is perfect? Not applying for a new opportunity unless you feel over-qualified for it? Playing down your true desires so nobody can judge you if you fall short? Feeling despair at the thought of everyone else seeming to be so successful while you’re not living up to your potential? Trying to keep up appearances while you suffer in silence, not getting the help you need? That’s your fixed mindset at work. If you identify with a fixed mindset, do not despair. All is not lost. The good news is that you can absolutely shift your mindset. The brain is capable of change. You are capable of change. It turns out you can teach an old human new tricks! When I compare fixed and growth mindsets, the thing that really stands out to me is safety. Safety is a fundamental requirement for embracing a growth mindset. If you fall into the fixed mindset category, chances are that you’ve learned that it’s safest to stay in your lane, do what’s expected, and not rock the boat. Whereas once upon a time, your reality was very much governed by outside sources, as an adult, you have the power to choose. I say this with full acknowledgement that privilege has a lot to do with how much safety we actually have in our lives. There is a broad spectrum here, so I encourage you to try these ideas on to see to what extent they apply to you. There are ways that you can create a sense of safety for yourself, or acknowledge the safety you already have, in order to give yourself permission to make a mistake or risk failing at something. If you currently work in a place where it’s very risky to make mistakes, or where failure might lead to losing your job, this might sound like a lot. Perhaps that’s not the place where you can begin. Even if the culture in which you find yourself has a fixed mindset, you can create opportunities for yourself to dip your toe in the water of growth mindset. One of my favourite ways to do this is at the gym. Every time I step in the gym, it’s an opportunity to do something I haven’t done before. I witness my own journey from not believing that I can do something, to following specific steps to get me there, and eventually making it happen. The road is not without failure. In fact, in my classes, they even teach us how to fail. 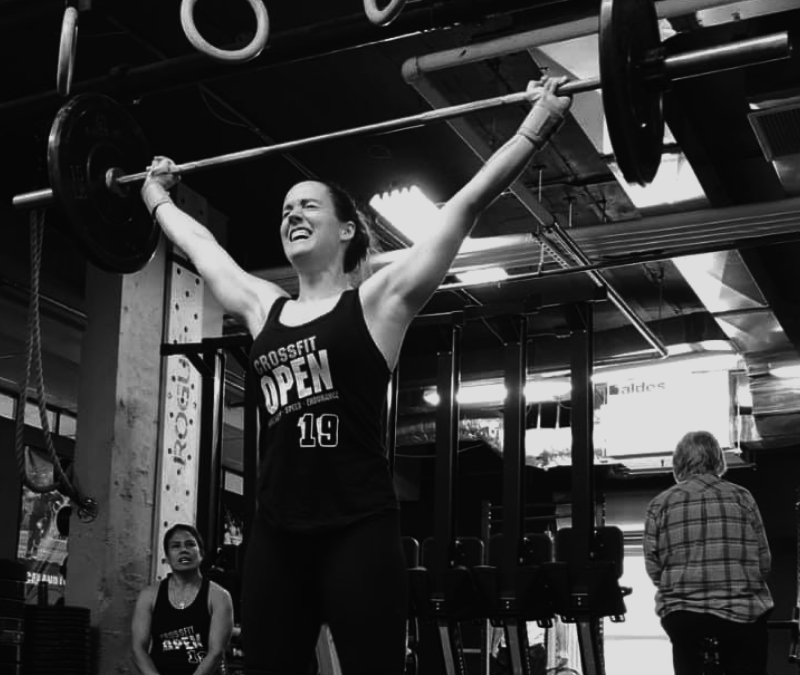 When you start lifting really heavy weights like I do at CrossFit, it’s important to know how to drop the weight safely if you won’t be able to complete the movement. So, we actually spend time learning how to bail. That way, when I’m trying a new maximum weight for my squat, I know exactly how to get out without injuring myself if I get stuck at the bottom. And it’s happened. Many times. In fact, every time I attempt a new personal record, I fail. That’s how I know that it’s my true maximum. I can still remember when squatting 95 pounds felt next to impossible. Just a few days ago, I squatted 160 pounds. When I see my body getting stronger and performing technical lifts with greater efficiency, I recognize that I can do things that were once impossible. I couldn’t do it when I first started. I had to give myself permission to try…and to fail. That’s how growth happens in the gym, and that’s how it happens in life too. Thanks to my fitness routine, I have an embodied sense of growth mindset. My brain adapts. My nervous system adapts. And I take this transferrable skill out into the world, out into my life, feeling much more capable to try things I’ll likely fail at. You can conduct experiments in growth mindset so many different ways. Weightlifting is one. Yoga is another. Taking a watercolour painting class when you haven’t picked up a paintbrush since your class made Mother’s Day cards in the fourth grade is another. Trying an improv class. Taking a course for no reason other than to expand your mind. Participating in a conversation knowing that you don’t have the answers. Picking up a new sport. These are all training ground to help you develop a growth mindset. If you start here, it will naturally begin to flow into other parts of your life too. As you make mistakes and realize that the sky didn’t fall, you’ll start to believe that you can make mistakes and the sky won’t fall. Are you ready to up your growth game? Book a free strategy session with me here.